Today’s Gospel was about the wedding feast at Cana where Jesus turned the water into wine. His mother, Mary noticed the wine was almost gone and she asked Jesus to intercede.Jesus told his mother, “My hour has not yet come,” but he did as she asked. My take on it… Always do what your mother asks you to do. I’m just speaking as a mother. During the Mass today, there was also a baptism for a baby girl. 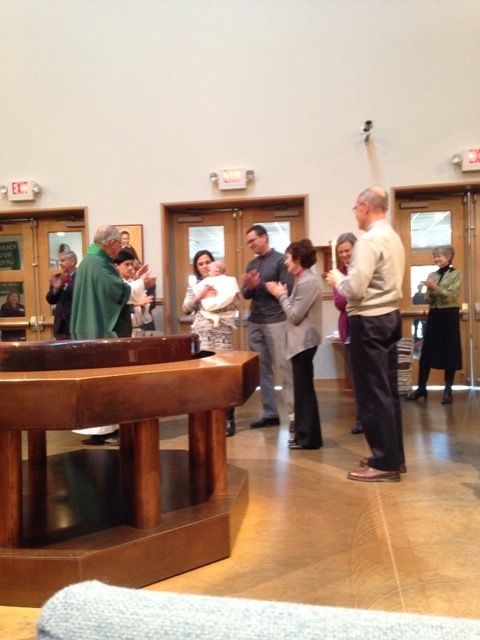 The congregation welcomed the baby into the Catholic Communty with prayers and a round of applause. Again, an example of parents teaching children, building them and sharing their faith through example. 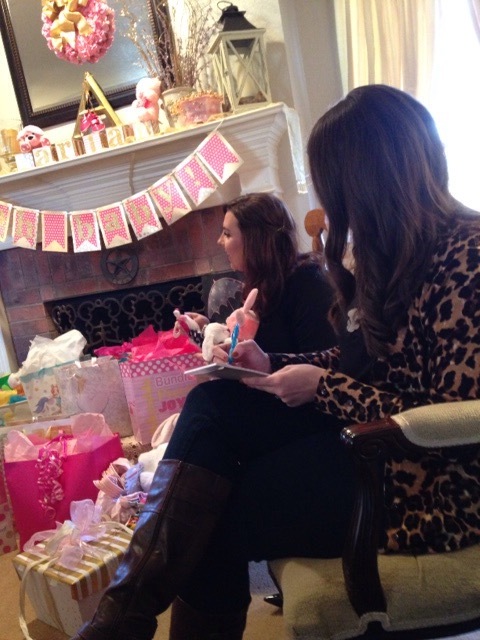 Speaking of babies, I had the privilege of attending two baby showers today. Two young mothers excited about bringing a new life into the world. 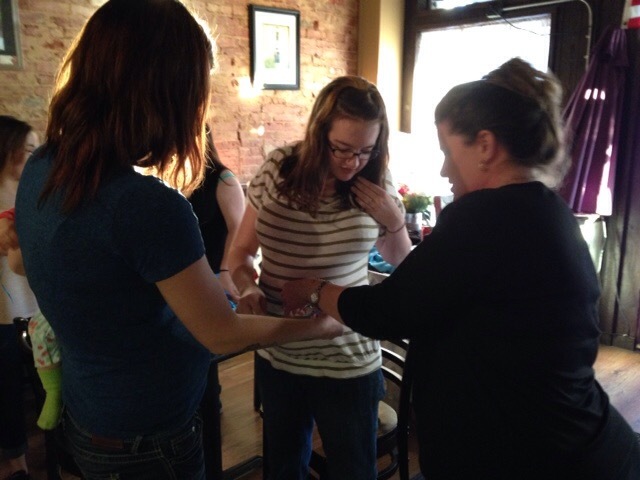 People gathering to support and welcome a child, a child who will be loved and cared for by many. Mandy was delighted with the many friends who came to welcome little Aria. I just loved all the “ooohs,” and “ahhhs” from friends and family. 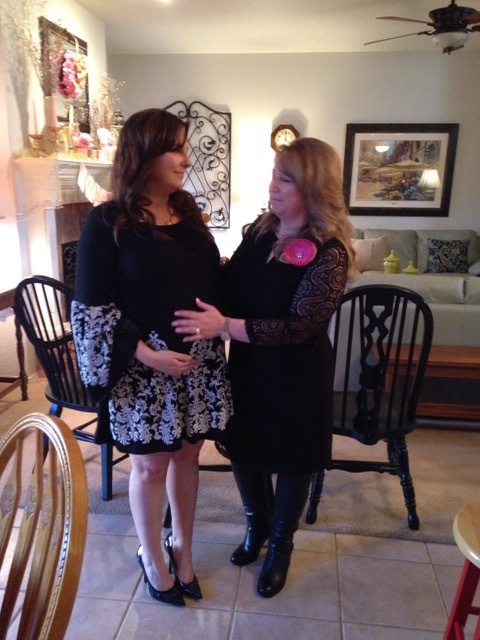 Then, off to Sweet Spot Bakery to celebrate Kaylyn’s soon to arrive little boy. We played baby bingo and other games, had some great snacks and had some yummy cake made by mamma, Elizabeth. 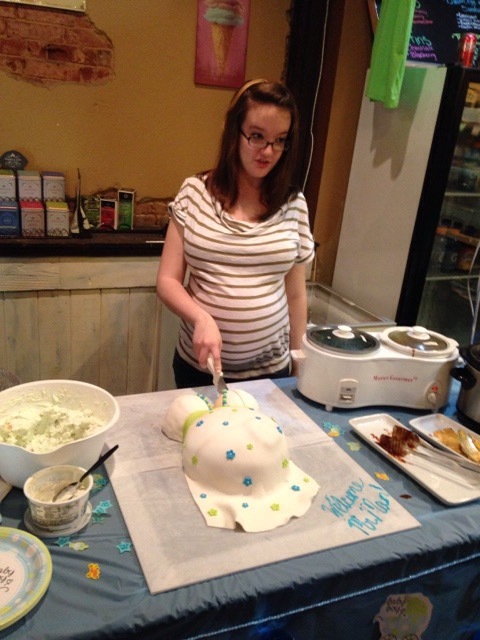 Kaylyn performing a C-section on the cake. We played the “guess how wide Kaylyn’s tummy is” by cutting off a ribbon length to our guessed estimate of her baby waste. Makes you realize how big a tummy can get. It was a busy day with babies and babies to be, and mothers and mothers to be be. 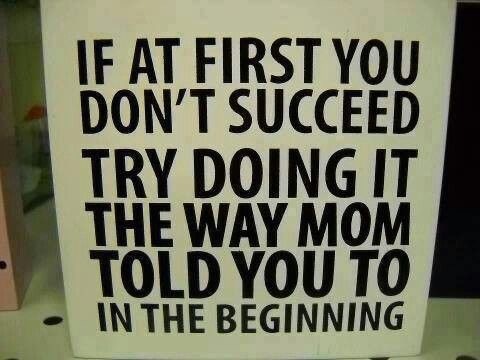 But, one thing is a common thread, ALWAYS LISTEN TO YOUR MAMMA!